- Enroll in Video Visitation, schedule and visit an inmate remotely from anywhere in the world where you have Wi-Fi or cellular data service at all Securus sites that offer Video Visitation. - Access and view your upcoming scheduled video visits. - Sync details of upcoming visits with your calendar. - Receive notifications for upcoming visits. 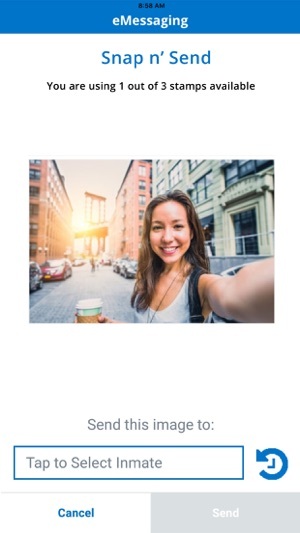 - Test Wi-Fi/cellular connection to determine quality of video visit. - *For best results and to reduce echo, use a headset or earbuds with microphone. - Enroll and add funds to AdvanceConnect, your prepaid calling account. - Add or change phone numbers who can receive calls. 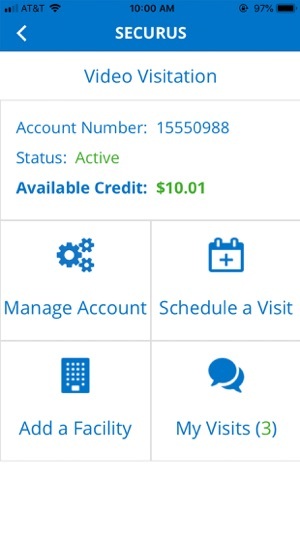 - View call details and transaction summary. - Block or unblock calls. 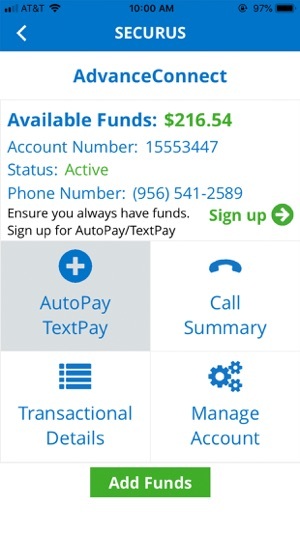 - Enroll in AutoPay or TextPay. - Update or change credit/debit card information. 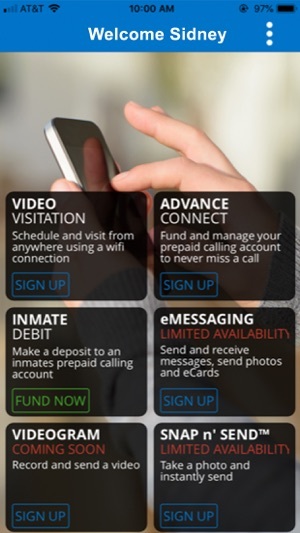 - Add funds to an Inmate Debit calling account- now easier to find on the app. 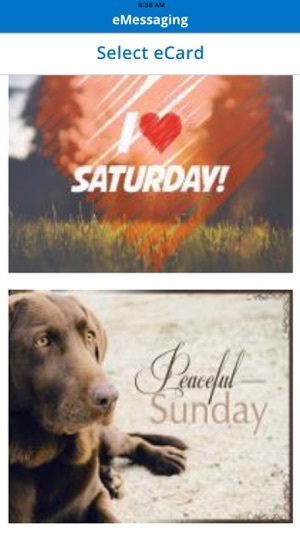 - eMessaging - send messages and receive replies, send digital greeting cards and photos to your incarcerated loved one! It’s never been easier to stay in touch! I never write reviews ever, but seeing so many poor reviews I hope I help someone reading. I have an iPhone 8 and this app has been wonderful to me. I’ve been able to schedule video visits and as long as you have headphones, and a good connection you should be fine. It crashed once during the visit but I had multiple things on my WiFi connection and once I disconnected everything else it worked fine. The sound quality COULD be better. My only complaint is the deputy got him there 20 minutes late, so I paid for a 30 minute visit and only got 10 minutes. Was on hold for 30 minutes and it’s a super long process to get a refund but at the end of the day it still was a lot cheaper than a phone call. I’ve scheduled 3 more visits and will update through out the week! Three day update: Every visit has been amazing! We really enjoy this! I scheduled one everyday for the next week and we’re both excited. Like I said before as long as you have a great connection, and if using a phone an updated version of iOS, you should be good! I really hope I help someone reading. My only complaint is the time should start once the inmate and visitor actually connect! The process of getting a refund/credit is way too complicated. The app doesn’t work any more. Let’s me pick a date and time but when I click to confirm it says Invalid Time Slot. Doesn’t matter what date or time I try to schedule. I’m hopeful the developer will see this and tell me what I’m doing wrong! ORIGINAL REVIEW: I only use the app to schedule on-site visits. 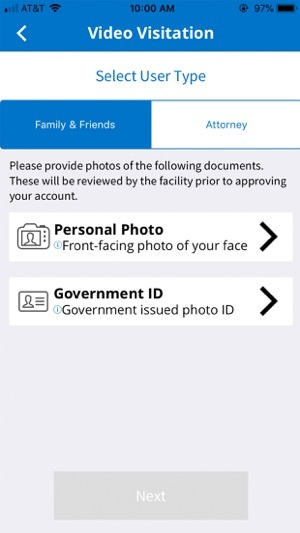 Though initially frustrated that I couldn’t schedule online any longer, I got the app, applied, and then waited for approval from my local jail. Once I got approved, I found the interface with this easier than the website. And I can do it on the go. As an added perk, I’m not sure why, but with the app I can now schedule visits the next day, whereas I had to schedule a few days or even a week out with the website. So works great for me. Hoping it does for others as well. We are happy to hear you are enjoying the app. Thank you for your kind feedback! ©2019 Securus Technologies, Inc. All Rights Reserved.